1st month of 2013 ended! Must actualize the short term plans because plans are cool and mature ... or do i really have a plan? sometimes I don't. Planning the plan to achieve the planned plan... Here goes February!!! Here are month old photos of me. I know deep in my heart , that pairing this sweater with skinnies would look more yum but blame the CELINE PRE FALL 2013!!! Ehem, Navy Blue? Well, basically Navy is my mistress when I'm bored with black. 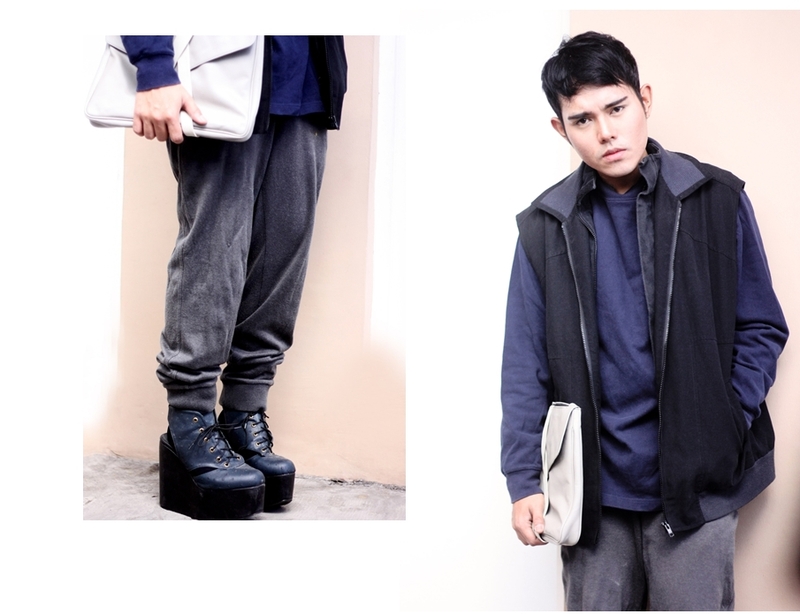 So I tried the languid baggy pants + platforms = Tricky Tricky! The baggy blown up look is out there and it's only a matter of time that we'll see those buffed up sweaters in the department stores. I guess it's in the plan..
honestly? If I’d see you on the street I would steal your bag right away! its gorgeous! Love your style! Shoes & pants want now! P.S : pass by my blog I design accessories that I think you would like!